A heartless woman has left her husband in a state of pain and agony after attacking him with hot water mixed with pepper. A man has been left with serious injuries after he was allegedly attacked by his wife in Delta state. 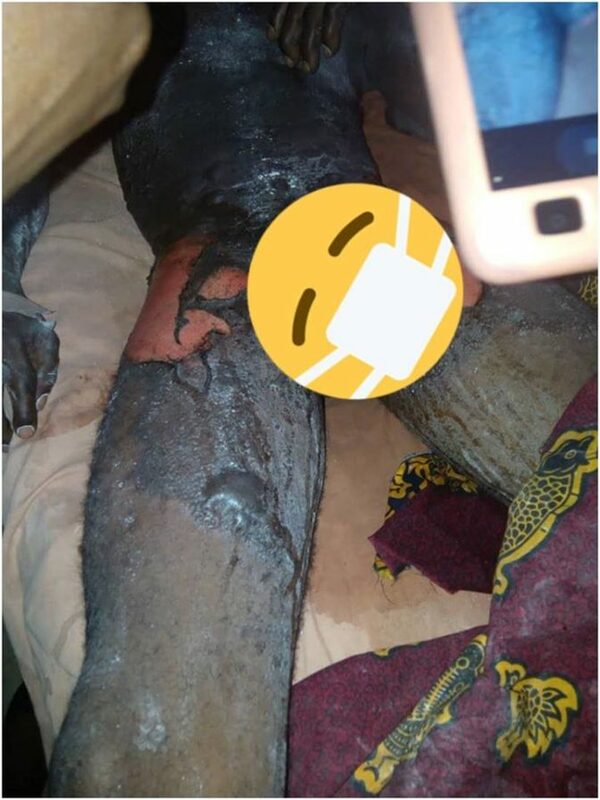 It was gathered that the man’s wife allegedly poured him hot water mixed with pepper following a problem between them in Amukpe axis in Sapele. It was gathered that after the incident, the woman fled and abandoned their 3-months old baby for the man. The man who was badly burnt beyond recognition is currently battling for his life at a hospital in the area.